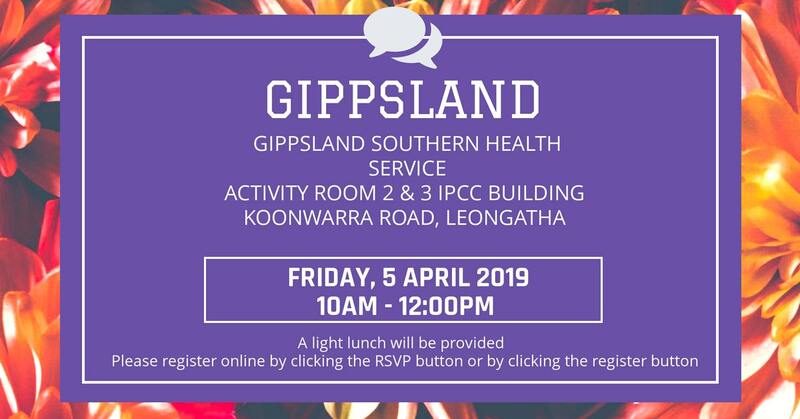 VHIA will host a FREE Members Forum in the Gippsland region on Friday, 5 April 2019. The event provides an opportunity to learn about EBA updates, participate in open discussion, and meet our VHIA Industrial Relations Staff face-to-face. A light lunch is provided following the conclusion of the Forum. Please RSVP to memberforums@vhia.com.au by Friday, 29 March 2019. RSVP should include your: FIRST NAME, LAST NAME, EMAIL, HEALTH SERVICE, POSITION, and if you have any DIETARY REQUIREMENTS. To be confirmed prior to the event.